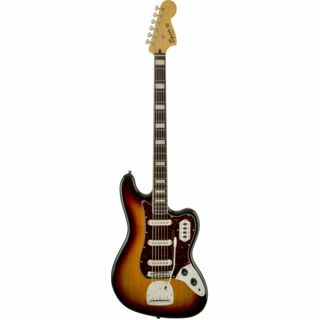 The Squier Vintage Modified Bass VI 6-string bass guitar in 3-Colour Sunburst is a recreation of the highly-desirable original Bass VI model of the ‘60s and ‘70s, but with a few modern touches to bring it bang up to date. Is this a guitar or a bass? It works well as both! I bought the instrument hoping for an okay one, as Squiers usually are. 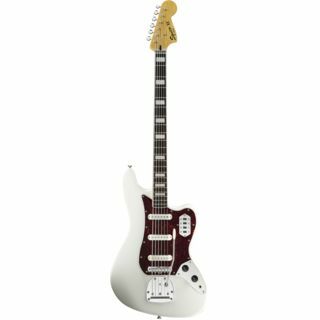 I was pleasantly surprised this model had a perfect finish, clean binding, fretwork, a tightly fit neck, a precision cut pickguard and very responsive switches and potentiometers with no scratching or loose parts. 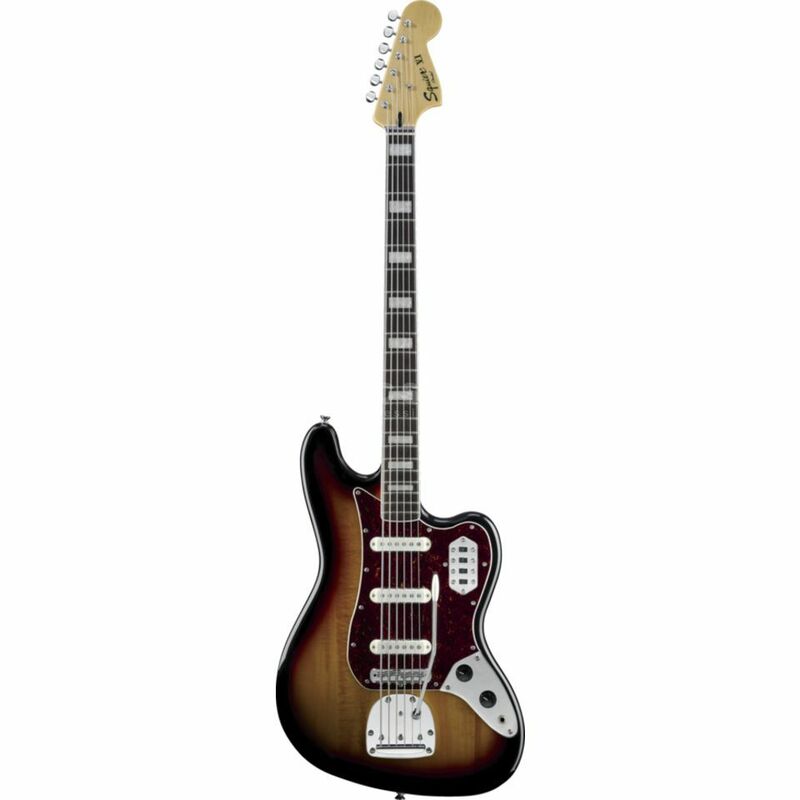 The Bass VI sits very well in a lap and doesnt "neck-dive" from a guitar strap. The tremolo is subtle and effective its a bit unstable when setting up, but I tightened it down a bit to stabilize and it works very well. The stock strings are okay for a guitar-like sound, but the low E string is a bit thin for E standard tuning. Buying replacement strings with a heavier low E string with the instrument is a good idea. The tail, bridge, nut tuners can take very heavy, almost bass-like strings without any problem. The controls are intuitive, the three single-coils can give me anything from a punchy and bassy to a growly mid-and-treble sound, and the instrument works really great with both bass and guitar amplifiers, sounding especially good when going through distortion. Some string manufacturers can make strings that can tune up to a baritone A-A or even a downtuned guitar-like C-C, so the instrument can really work as both a guitar and a bass for those who like this short scale. Of all the Bass VI-like instruments out there, this one is the most inexpensive - but it feels and plays like a professional one.